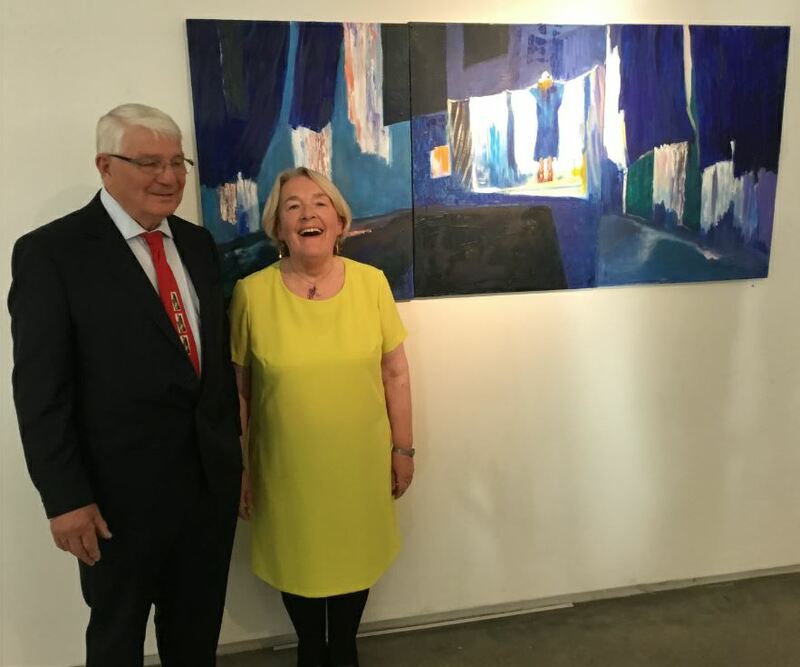 Thurles Library is proud to present artist Mary Finn’s exhibition entitled “Three Sheets in the Wind” in the Gallery, which is currently running until Tuesday 28th of August. Mary Finn is a Thurles, County Tipperary artist who practices on a daily basis. She graduated in 2014 with a BA Honours degree in Visual Art, as a mature student after a lifelong interest. Prior to this, she was a self-taught artist and exhibited many times. She is a keen photographer, which supports her contemporary drawing, painting and portraiture. She attends the Slade Summer School at University College London annually. In 2016, Mary was lucky enough have been accepted as a Tyrone Guthrie resident. She goes to The Tyrone Guthrie Centre, Annaghmakerrig, Newbliss, Co. Monaghan, to paint as often as possible. Mary Finn worked in adult education at the Lifelong Learning Centre, North Tipperary VEC for 9 years. She retired in 2012. She is currently a volunteer at the National Gallery of Ireland. The exhibition was launched by Dr. Luke Murtagh, retired CEO of North Tipperary VEC and founder member of Tipperary Institute. Visitors can enjoy this wonderful exhibition during Library opening hours.